Show notes lost to the sands of time. 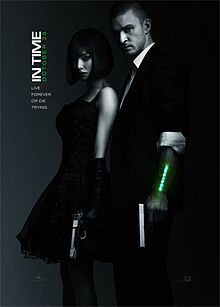 Wikipedia synopsis of In Time. LISTEN TO THE FLOP HOUSE ON OTHER PODCASTS! We know it’s been a little longer than usual since our last show. How can we make it up to you? Perhaps you’d like to hear Elliott talk about the life of a comedy writer (along with comedian and podcasting star Julie Klausner) over at Wrestling Team’s “Beginnings” podcast? Or, if you’d like something a bit more “Flop House-y,” check out our friends over at the bad-books-television-and-movies podcast Read It and Weep. In their latest episode, Dan sits in to discuss Jack and Jill (meaning that Stu and Elliott dodged that bullet, and they didn’t even buy Dan a present). Hate to point this out but… Olivia Wild was actually J. Time’s mom. I know I am so late in this, but I just discovered this podcast and am listening to this episode. I wanted to call and tell them the whole podcast that Olivia was Justin’s mom! I am glad other people noticed it. I second that comment. I insist that episode be redacted. Oooor I insist that you move on and never make mention of the faux pas. Time. Wait! She was his mom?! That makes a liitle more sense! Okay, I’ll change my vote, Good-Good movie! Clearly this movie was subtle and well-crafted if three of us managed to miss a major plot point. If you guys spent more TIME actually watching the movie instead of comparing ding-dongs, this tragic error would have been avoided. Pretty sick how J. Time’s mother AND girlfriend were both Olivia Wilde. Sicker still was how J. was his own father. And the scene where the incestuous couple kill their own grandfather? Sick and confusing. The time paradox can be resolved, but what was their motivation? I just thought it was funny about confusing Olivia Wilde as… I can’t remember Justin Timberlake’s name in the film… what’s-his-name’s mom. Kept wondering if one of them would remember it. Does this mean girlfriends are steaks and moms are hamburgers? Let me say that I’m a new fan by way of the avclub, and I’m having a great time catching up. You’re all very funny and good at dissecting films. That said, are you guys really trying to blame the movie for not saying she was his mom a million times? It’s the very first thing established after the opening monologue. Were you watching with the sound off? Anyhoo, I love the show, just a small quibble. Actually the film itself admits it’s pretty confusing when nobody ages past age 25. Watching that clip, there is a whole new creep factor in the way that Pete Campbell tells Justintime that his daughter looks exactly like his wife. Hmm, glad to see that my one little comment has unleashed a strange firestorm of nonsense that has reached the ears of the trio of Flophousers themselves. My day now has meaning. Also, this movie would have sucked even if Olivia Wilde was J. Time’s transsexual alter ego. Two whole tablespoons of Thyme??? My god man.